The video has been made available to the FBI, Secret Service and DC Metropolitan Police. 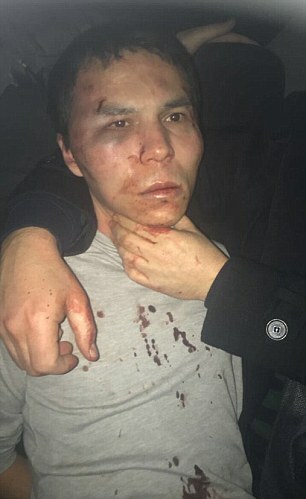 The suspected New Year’s Eve Istanbul nightclub attacker who police believe killed 39 people was today arrested by Turkish security forces. According to Turkish media, the main suspect in the attack on Reina nightclub was apprehended in Istanbul late on Monday. 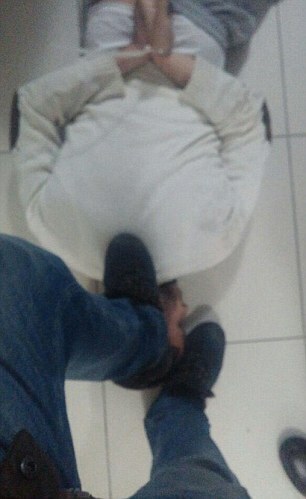 Abdulkadir Masharipov was reportedly caught in his friend’s house in Esenyurt district of the city – 25 miles from where the brutal attack took place. Last week Chuck Ross at The Daily Caller reported on the appearance of Ellison at the Omeish campaign event, noting that Omeish had previously called for Palestinians to follow “the jihad way” against Israel. Given that, it’s no surprise to find al-Hanooti, who styled himself as “grand mufti” of Washington D.C. and whom FBI documents identify as a top U.S. fundraiser for Hamas, at the campaign fundraiser. Mohammed al-Hanooti has been identified by federal prosecutors and top counterterrorism officials as an enthusiastic supporter of Hamas — serving as one of its top fundraisers — and also as an active supporter of terrorism and extremist Islamic ideology for several decades. The German government has said it is “concerned” after Donald Trump described Nato as “obsolete”. It came as German car manufacturers also rounded on the President-elect warning that the US would be “shooting itself in the foot” if he slaps a 35 per cent tariffs on cars manufactured in Germany. EXCLUSIVE: Nearly two dozen former top U.S. government officials have urged President-elect Donald Trump to work with Iran’s opposition once in office, according to a letter obtained by Fox News. DUBAI, United Arab Emirates – Oman said Monday it accepted 10 inmates from the U.S. prison at Guantanamo Bay ahead of President Barack Obama leaving office, part of his efforts to shrink the facility he promised to close. There was no immediate word from the U.S. Defense Department about the transfer. Oman’s Foreign Ministry said in a statement carried by the state-run Oman News Agency that it had accepted the prisoners at Obama’s request. It did not name the prisoners. President-elect Trump believes more countries are going to leave the European Union and thinks the North Atlantic Treaty Organization is now obsolete, he said in an interview with German newspaper Bild. The comments will undoubtedly concern America’s allies in Europe after Trump has voiced support for strengthening the United States’ relationship with Russia after he comes into office. It may cause some discord inside his own administration, as retired Marine Gen. James Mattis said during his secretary of defense confirmation hearing this week that Russia’s goal is to destroy NATO. A Turkish cargo plane flying from Hong Kong has crashed in Kyrgyzstan, killing all four crew members and at least 33 people on the ground, officials say. The Boeing 747 aircraft operated by ACT Airlines crashed as it landed in fog at Manas airport, 25km (15 miles) north of the capital, Bishkek. At least 15 buildings were destroyed in a village outside the airport, with a number of children among the dead. ACT is an Istanbul-based airline operating under the name MyCargo. The plane is believed to have been about 14 years old. 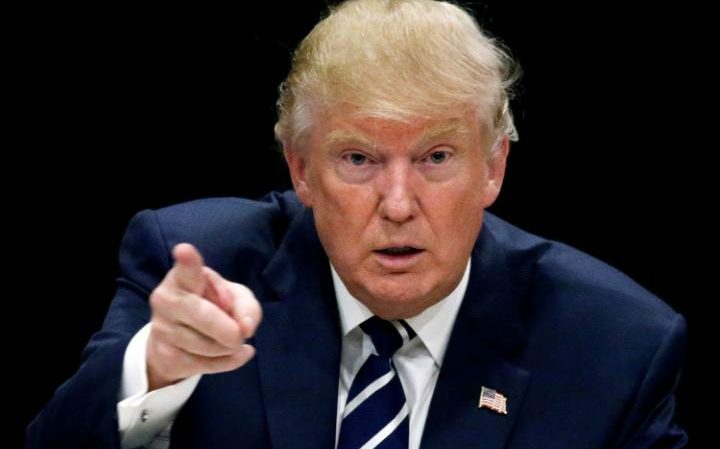 U.S. President-elect Donald Trump will propose offering to end sanctions imposed on Russia over its annexation of Crimea in return for a nuclear arms reduction deal with Moscow, he told The Times of London. Criticizing previous U.S. foreign policy in an interview published on Monday, he described the U.S.-led invasion of Iraq in 2003 as possibly the gravest error in the history of the United States and akin to “throwing rocks into a beehive”. But Trump, who will be inaugurated on Friday as the 45th U.S. president, raised the prospect of the first big nuclear arms control agreement with Moscow since the Strategic Arms Reduction Treaty signed by President Barack Obama in 2010. U.S. President-elect Donald Trump’s advisers told senior French officials during New York meeting that they object to the very holding of the conference, especially so close before Trump’s inauguration. Senior French officials met a few weeks ago in New York with President-elect Donald Trump’s advisers and presented the program for the international peace conference to be held Sunday in Paris, Haaretz has learned. Trump’s team was said to have objected strenuously to the very holding of the conference, especially at this time, five days before Trump’s inauguration. European nations are warning that once the weather warms this spring, an unprecedented” wave of economic migrants will attempt to cross the Mediterranean to reach the shores of Europe. Nearly a million refugees made the crossing in 2015, inundating Germany, Austria, and many other European countries. Most of those refugees were from Syria and Iraq – war torn nations with tens of thousands trying to escape the violence. This time, most of the refugees will be from Africa – Niger, Nigeria, Ethiopia, Mauritania, Mali and Chad, among others. While there is violence in several of those countries, the primary reason that people want to make the dangerous crossing is economic opportunity. The UK has moved to block an EU decision to support the closing statement of the Israel-Palestine peace conference in Paris, a day after it refused to sign the conference’s closing statement backing the two-state solution. The move at the EU’s Foreign Affairs Council on Monday, described as “highly irregular” by Haaretz, comes a day after the country refused to sign the closing statement, which was designed to relaunch stalled negotiations between the Palestinians and Israelis over a two-state solution. Britain said that the statement risked “hardening positions”, particularly as neither of the parties affected was present at the conference. “We have particular reservations about an international conference intended to advance peace between the parties that does not involve them – indeed which is taking place against the wishes of the Israelis – and which is taking place just days before the transition to a new American president when the US will be the ultimate guarantor of any agreement,” the Foreign Office said in a statement.